Every spring under the right conditions, thousands of morel mushrooms carpet charred forest floors West of the Rockies. With the proper information you can become a pro at finding them! The right burns are very hard to locate. Yet it’s imperative to know where to go before you leave on a burn morel hunt. Each year we spend many hours compiling and studying burn map data for the sole purpose of morel hunting. This burn morels e-book will teach you how to use our curated maps to locate ideal morel burn sites. We’ll also give you an idea of how we do it using Google maps and US Department of Interior burn data. The ebook provides an overview of elevation, forest types, accessibility, necessary permits, lands where you can and cannot hunt, natural indicators, portable technology and much more. The Burn Morels E-book is included with all of our maps! Our burn maps are curated, meaning we have spent hours sorting through the fires – removing many poor choices and also fires in areas that are inaccessible (and unlawful) for picking. Additionally, we have chosen 10-20 top picks and have provided details and tips on each of these burns. Unabridged maps containing all fires will be included. The maps show fires and their perimeters using a Google Map rendering engine. This includes a satellite basemap and a hybrid terrain basemap (topo + roads). Downloadable files and mobile app options are not included with the base maps, but will be available for an additional fee for hunters who require this functionality. $25 – Colorado: 2019 Curated Morel Fire Map – features the top 18 burns (from 2018) in Colorado with details and recommendations. These are the burns to hunt in 2019. Also, includes an unabridged map for this year and access to our historic 2018 and 2017 CO burn maps. Oregon – Includes 30 top 2018 fires with details on 13 of our favorites. Also includes burn maps from previous years. Washington – Includes 23 top 2018 fires with details on 13 of our favorites. Also includes burn maps from previous years. 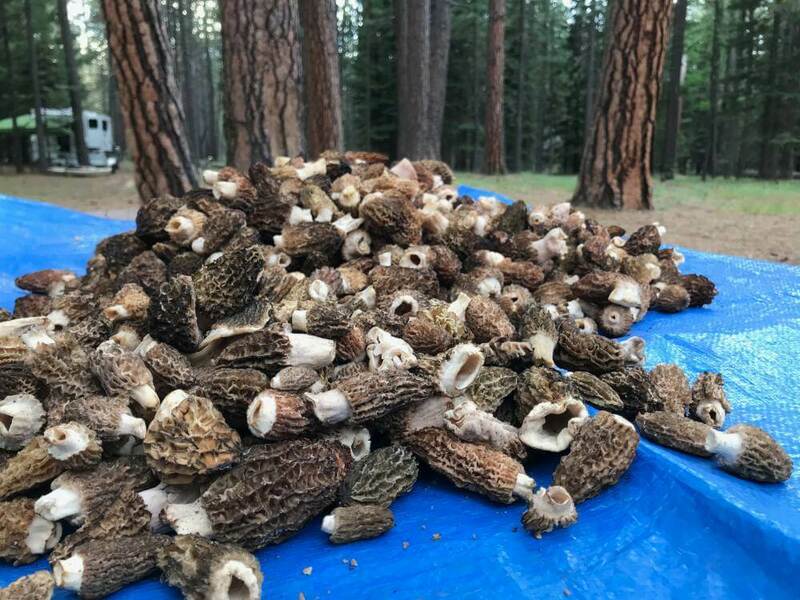 California – Includes 10 top fires from the 2018 season with full details. Also includes burn maps from previous years. Colorado – The top 18 burns (from 2018) including full details and recommendations. Also includes burn maps from previous years. Wyoming – The top 4 2018 burns with full details. Also includes burn maps from previous years. Idaho – The top 11 burns from 2018 with full details. Also includes burn maps from previous years. Montana – The top 9 burns from 2018 with full details. Also includes burn maps from previous years. **We will also provide access to unabridged maps which show ALL fires in these states.